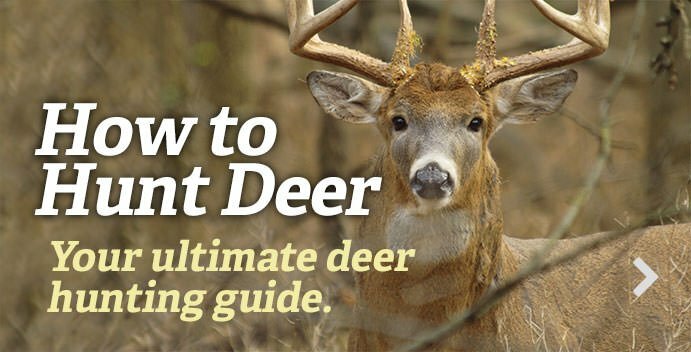 Are You Doing Everything Necessary to Prep Your Deer Cape? I’ve always been a fan of European mounts. They take up less room, cost less money, and have a certain aesthetic that shoulder mounts just can’t match. However, when I arrowed my first Booner last season, it was an easy decision to get a full mount done. I was lost as to what the next step was, though. I wasn’t sure where to begin skinning, how to cape out the neck, or what to do when I was finished. If not for my experienced father-in-law, I may have ruined the hide of my trophy. It turns out that’s a common blunder. “On average each year, I have to come up with replacement capes for half of my customers,” said Matt Gonsor, owner of River Valley Taxidermy in Baltic, South Dakota. This frustrating truth stems from avoidable mistakes that a lot of hunters make. Bringing in a damaged cape is a downer for you and your wallet, so I reached out to two experienced taxidermists to see what hunters should know when they harvest their next trophy. Follow these 10 commandments to make sure you’re not in the 50 percent that needs a new hide. Most of us aren’t fortunate enough to drop a buck in an area that a pickup can back right up to. When you instead have to make a drag, be cautious of what you’re doing. This is one of the easiest times to ruin a cape. Always drag your deer by the antlers or front legs rather than the back legs. This ensures the front end will be in the air, and there won’t be any friction between the cape and the ground. So, basically, put it in the back of that new 2019 Kawasaki Mule. Don't hook it by the neck and drag it to the truck. If you use a deer cart, be cautious that the wheels aren’t rubbing against the cape, either, as this could cause noticeable damage. When it comes time to butcher your buck, never hang it by its neck. The stress of the rope can cause major problems that your taxidermist won’t be able to fix. The same goes if you need to dispatch your deer. Avoid shooting it in the head or cutting its throat. “A good taxidermist can fix a deer that’s been headshot, but not even the best taxidermist can use a cape with a 10-inch cut in its throat,” said Josh Neuharth, owner of Western Wildlife Creations in Menno, South Dakota. Another issue that taxidermists see is when hunters make cuts from the wrong side of the hide. When you’re caping out a deer, always make your slices from the inside out. This guarantees there won’t be any excess hair loss and your hide looks as pristine as possible. This is not only good taxidermy advice but also it’ll make for better table fare as you’ll keep hair off the meat. It’ll help keep your knife sharp as well, since slicing through hair and hide will dullen even the best blades. Don’t go through all the work of skinning a buck only to realize that you didn’t leave enough skin around the brisket. Depending on the mount position, the form might require cape that extends all the way to the mid-section of the belly. Don’t Miss: So Your Girlfriend Hates Taxidermy? Both taxidermists made it clear that good communication with your taxidermist is key to making sure the deer turns out how you want. If there’s dried velvet on the rack or a bunch of sandburs in the hide that you want left on, let your taxidermist know. A scenario like that would have been easily avoidable if the customer had requested that the taxidermist don’t clean the antlers, even though that’s fairly common practice. A common misconception is that you should salt the hide if you’re not immediately taking it to the taxidermist. Instead, you should freeze the hide in a semi-airtight bag. Although salting has its place, it should only be done on remote hunts where a cooler isn’t available. Salting will prevent bacterial growth, but prolonged exposure dries out the cape and causes problems when it comes time for fleshing. If you do end up salting the hide, you need to make sure to tell the taxidermist, so it doesn’t become ruined while in storage. If you do end up traveling with your cape in a cooler, make sure to keep it from coming in contact with ice or water. This can be overlooked by hunters who think that just getting the hide cold is good enough. If you’re on the fence about getting a buck mounted, you can keep the cape in your freezer until you decide. It’s important that you don’t just haphazardly toss it in the ice chest and walk away, though. Never let the skin and hair come in contact with each other, as this will make the thawing process very delicate later on. Also, make sure that the ears and nose are thoroughly protected, since they’re most likely to become freezer burned. Make even folds with the cape and do your best to flatten out any wrinkles. This might seem obvious, but you need to treat the hide as if it’s very fragile. Throughout the entire process, you should take all measures possible to keep your cape out of the elements. Don’t let it ride on a game rack above the exhaust or laying in the dirt outside of deer camp. When it comes to storing it in the freezer, make sure the cape is double wrapped in garbage bags. If you’re not confident in your skinning or storing process, it’s best to stop what you’re doing and give your taxidermist a call. Both Gonsor and Neuharth stressed that the best option is to always get your deer to the taxidermist as quickly as possible, though. That way you can let their surgical hands do the tough parts around the skull, rather than your clumsy, excited ones.